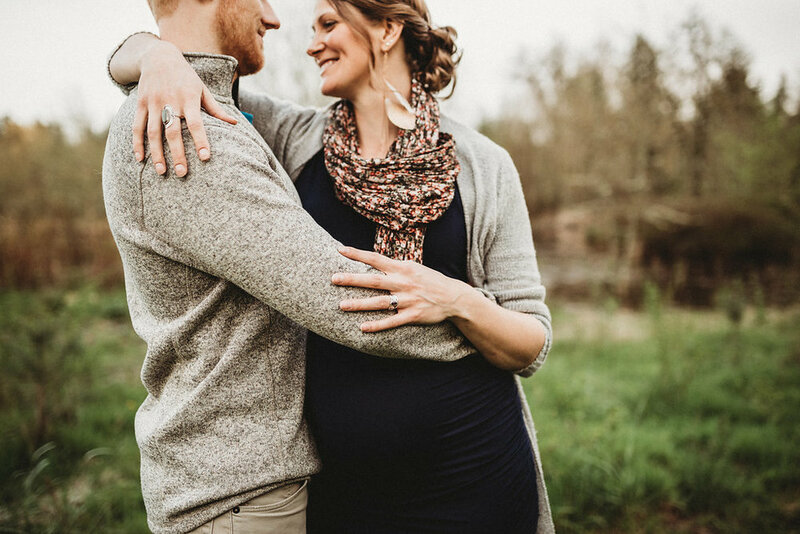 I just love doing maternity sessions and capturing pregnancy all year round! But MAN! 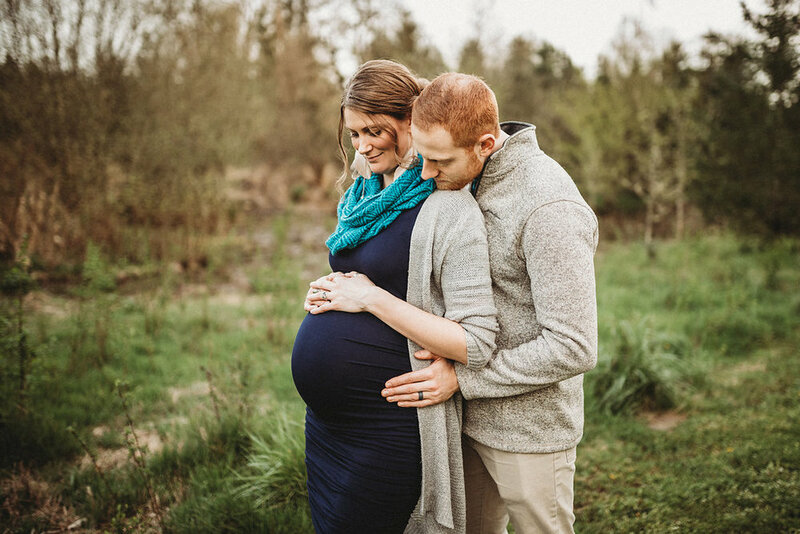 Portland weather can really put a damper on scheduling our pregnancy photo shoots! 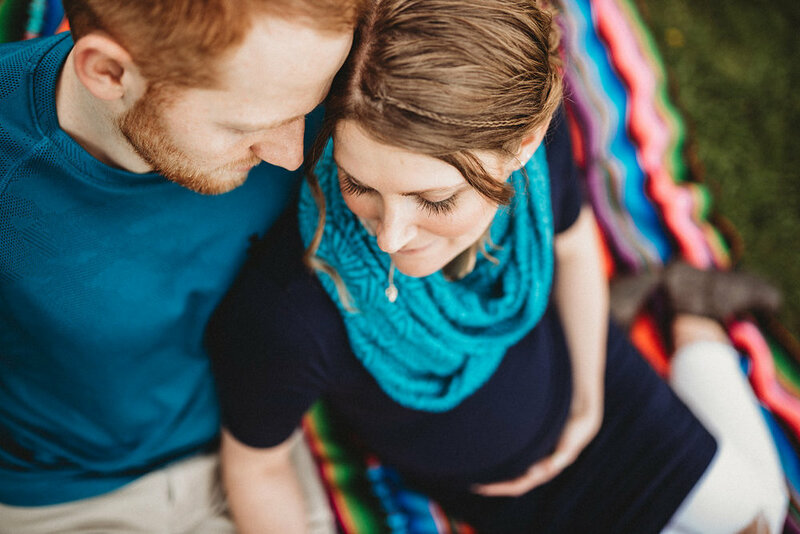 I had scheduled a maternity shoot with Julie & Brenton for a weekend evening and the weather was being completely crazy and unpredictable. Raining one minute, sunny the next! So we ended up cancelling the session and rescheduling for a Monday evening, but the funny thing is that when the time came for the originally scheduled session, it was sunny and beautiful, and we could have done the session after all. Oh well! We ended up having completely gorgeous weather for the maternity session anyway! But I DID have to squeeze it in between teeball practice and bedtime (hahaha the saga of a working mom!). Julie and Brenton were amazing and met me at Cook Park (one of my fav locations close to home) and trekked down the trails with me to an open field to catch that beautiful evening ooey gooey golden light. They are SUCH an adorable couple! They were playful and loved to laugh with each other. It can be really difficult to pretend a camera is not 6" away from your face, and to just relax and be with each other, but these two pulled it off. And that BABY BELLY!! OMG Julie is seriously the cutest pregnant women EVER! They are almost ready to welcome their first child. Just doing some nursery set up and cleaning and getting everything decorated. Julie is due super soon, and I'm so excited for the both of them!